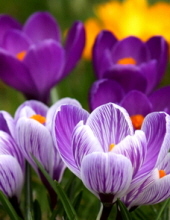 Carol Ann Goy, 75, of Terre Haute passed away Thursday, March 21, 2019 in her residence of pancreatic cancer. She was born December 20, 1943 in Terre Haute to William Baxter and Ruby Hadley Baxter. Survivors include her husband of 53 years, James Goy; sons, Kevin and Keith; and her grandchildren. Private graveside funeral services will be conducted at a later date. Arrangements are under the direction of Callahan & Hughes Funeral Home, 605 South 25th Street. To send flowers or a remembrance gift to the family of Carol Ann Goy, please visit our Tribute Store. "Email Address" would like to share the life celebration of Carol Ann Goy. Click on the "link" to go to share a favorite memory or leave a condolence message for the family.